Custom aquariums have become immensely popular over the last decade. This is because it offers more freedom and flexibility when compared to typical aquariums. For many fish tank enthusiasts, they find the contemporary aquariums boring and out of place. Therefore, they choose to have a custom fish tank built for them. These aquariums are usually the product of the imagination of a client. They are developed around a person’s personal taste and the way nature would accommodate that taste. Customized aquariums are not the only thing growing in popularity though. As people are having their own custom designs, they are also learning more about the aquatic ecosystem. The interest and knowledge have grown tremendously. 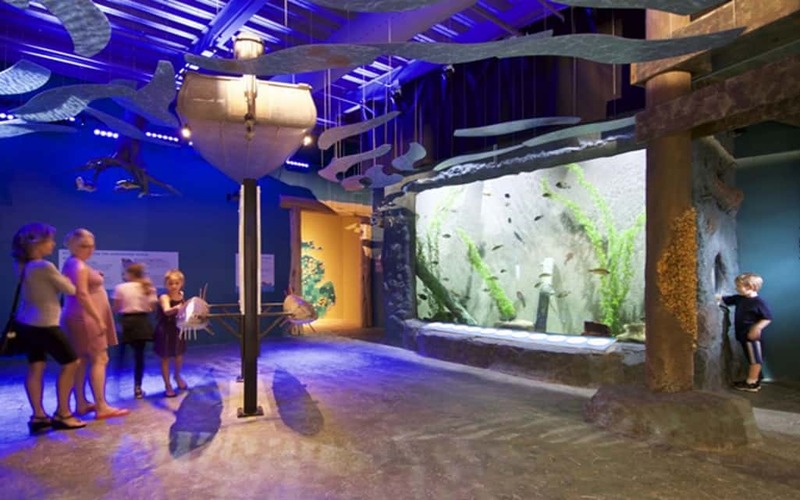 This is because before custom aquariums are built, design companies hold conversations with clients to as to know and educate them on the type of sea life that would be perfect for the ecosystem. Most people who opt for custom tanks love having rare fishes and plants in them. So, being knowledgeable about the ecosystem is something that usually comes with custom fish tanks. This is probably the most important reason why many people build custom tanks. Custom fish tanks provide owners with a unique and appealing setting. As mentioned earlier, they are usually the product of a person’s imagination. And since each person has a unique imagination, most custom aquariums offer a distinct look. Now, as a customer, you don’t need to draw up the idea all by yourself. The design company can also provide you with ideas that will accommodate your needs and still provide your space with an appealing and welcoming look. Custom aquariums are usually great for offices, businesses and homes. While the concept may sound new, self-care is an element that has always been a part of human lives. It is component that helps us prepare for what’s next while nourishing our souls. This concept involves enjoying experiences or partaking in activities that have no focused or productive aim. For some people, it’s interacting with family and friends. Some people prefer to relax on the beach. For some people, it’s taking a walk and taking in nature. And for some, it’s watching the interesting activities of sea life in a large, customized aquarium. Custom aquariums serves as means of self-care. Admiring plants, studying the fishes’ movements, and taking in the scenery can help relieve your mind off of your to-do list, an impending task, and many other stressful things. It allows you to regenerate your spirit and mind for the next task ahead. A custom fish tank is more than just choosing a few fishes and a tank. Large scale tanks are usually the focal point in a home, office, or business. They usually stand out and attract attention the same way a rare sculpture or painting draws the attention of guests. However, unlike sculptures and artworks, custom tanks can be changed and redesigned at any time. You’ll get to see your sea life activities in different environments at different times. This makes it seem like a moving artwork each and every time you look at it. Additionally, sculptures, paintings, and photographs tend to fade into the background. Customs aquariums, on the other hand, will pull the eyes no matter how old they are. From the movement of fishes to the growth of the plants, your aquarium will develop something new each day. According to a 2015 report made by The Washington Post, the National Marine Aquarium noted that large scale aquariums calmed those who looked at them. The viewers experienced lower blood pressure and lower heart rates as more fishes were added to the aquariums. This is a very great development in this stressful world of ours. We all know that stress can be the cause of many health conditions. It can also worsen and contribute to some. Therefore, decreasing your stress level just by looking at the activities of fishes and plants in water is simply an incredible idea. The good thing about this effect is that you won’t be the only one affected by it. If you have a custom fish tank in your home, your family members will benefit from it. If it’s at your workplace, your colleagues will benefit from it. And if it’s at your business place, your customers as well as employees can benefit from it. You’re simply making the world, your home, your workplace, and business place a better place to live and work in. Flexibility, ease of stress, and an appealing look all come with a custom aquarium. The only thing holding you back is your imagination. All you have to do is consult a custom aquarium builder like Titan Aquatic Exhibits or one of the many other options you can find online, share your ideas with them, and they’ll provide you with the best aquarium that can accommodate your needs. Join the trend of custom aquarium owners today. Engage in the rise in popularity of custom aquariums.